1914. 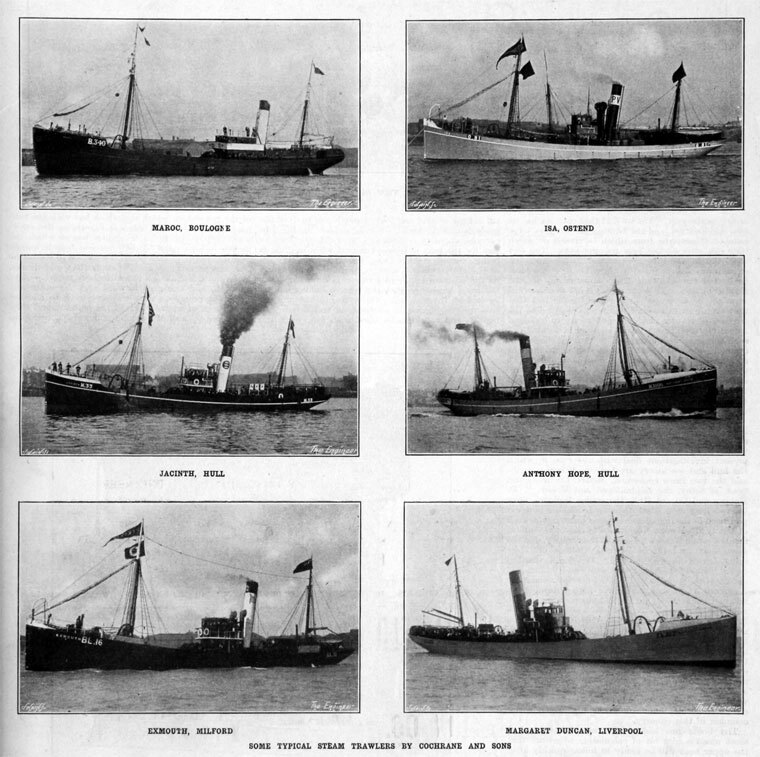 Steam trawlers Maroc, Isa, Jacinth, Anthony Hope, Exmouth and Margaret Duncan. 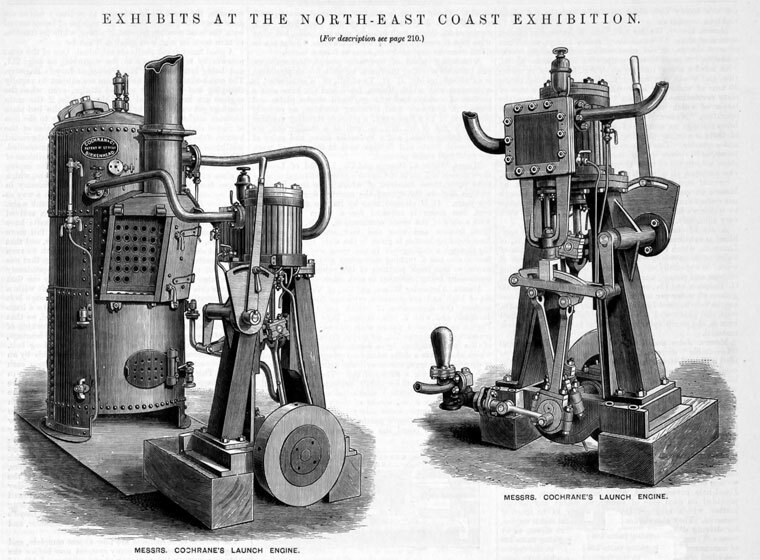 Cochrane and Sons, ship builders, of Beverley and Selby. 1884 Andrew Cochrane founded a shipyard at Beverley. 1898 Cochrane moved to Selby, 50 miles away from the sea by river. Cochrane and Sons built their reputation for building trawlers and coasters for the Hull and Grimsby fishing fleets. In 1912 the company took limited liability status. 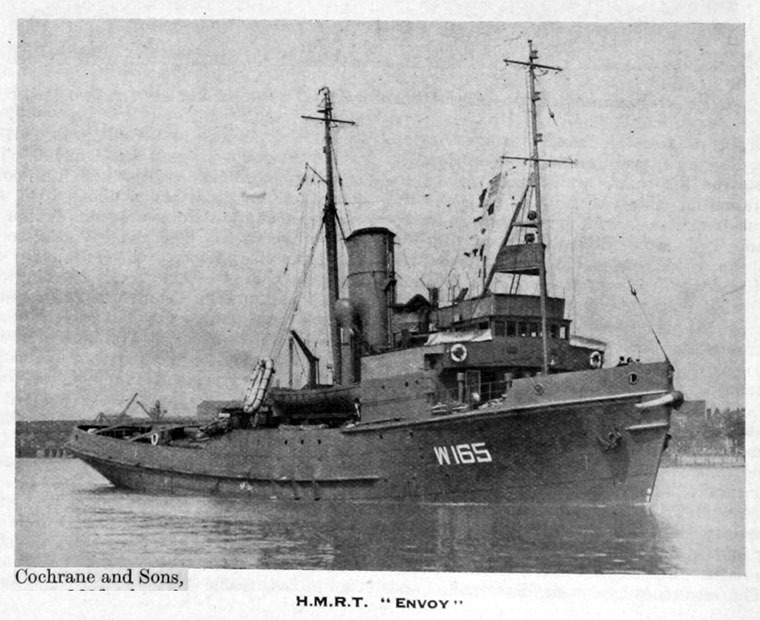 WWI The yard made 90 steam trawlers for private owners, 70 steam trawlers for the Admiralty which were deployed as minesweeper, gunboats and barges. The yard was able to achieve such a massive output by building the trawlers ten at a time in five pairs. In addition the yard was laid out in such a way so that ships could be launched two at a time and construction could take place rotationally with members of staff working on one task at a time for two weeks before the next task was undertaken. 1927 - April. Cochrane and Sons launched their thousandth vessel in the first week of April and followed it immediately with another. The two new craft were steel screw tugs, the Kenia and the Gondia, for William Watkins Ltd., London. It was pointed our that the first vessels built at Selby, under the present ownership, were also for Messrs Watkins. Messrs Cochrane's record includes the building of 700 trawlers, 81 mine-sweepers, 63 drifters, 33 tugs, 29 coasters, 8 petrol gunboats and other craft. 1930s The Selby yard mainly made trawlers during the inter war years, along with harbour tugs and coasters. WWII The Selby Yard came into its own during the Second World War: 21 Admiralty rescue tugs, 30 "Empire" harbour tugs and many trawlers were built. In addition the yard also continued filling private orders for trawlers, and also found time to complete a lighthouse tender. 1940s Following the War, the yard returned to making trawlers for a variety of private owners. This business enabled the yard to maintain a steady presence until the 1960s. 1950s Tugs were also the next key product manufactured by the yard. London tank barges served as prototypes for the ever larger tankers built by the yard throughout the late 50s and 1960s. 1960s Tankers, dry cargo coasters and smaller coasters were the main vessels made by the yard at this time. 1961 Shipbuilders, specialising in trawlers and tugs. 400 employees. In 1965 control of the yard passed from the Cochrane family to Ross Group Ltd who then sold on to the Drypool Group Ltd in 1969. In 1976, the Selby yard was bought up by United Towing Co. Ltd of Hull (the Drypool Group had gone into liquidation). 1977 The company’s name was changed to Cochrane Shipbuilders in 1977 and built an average of four ships per year for the next 15 years, mainly tugs, trawlers, oil rig supply vessels, ferries dry-cargo coasters and coastal tankers. 1980s Refrigerated fish carriers and coasters were the main ships made by the yard during this period. In 1987 the North British Maritime Group (the name of the company which now controlled the Selby Yard along with a couple of others)was taken over by an Australian shipping company: the Howard Smith Group. 1990s The yard was running out of orders and the Howard Smith Group was looking to withdraw from shipbuilding. The yard was run down and closed in October 1992 with the equipment auctioned off the following year. This page was last edited on 29 June 2015, at 15:25.